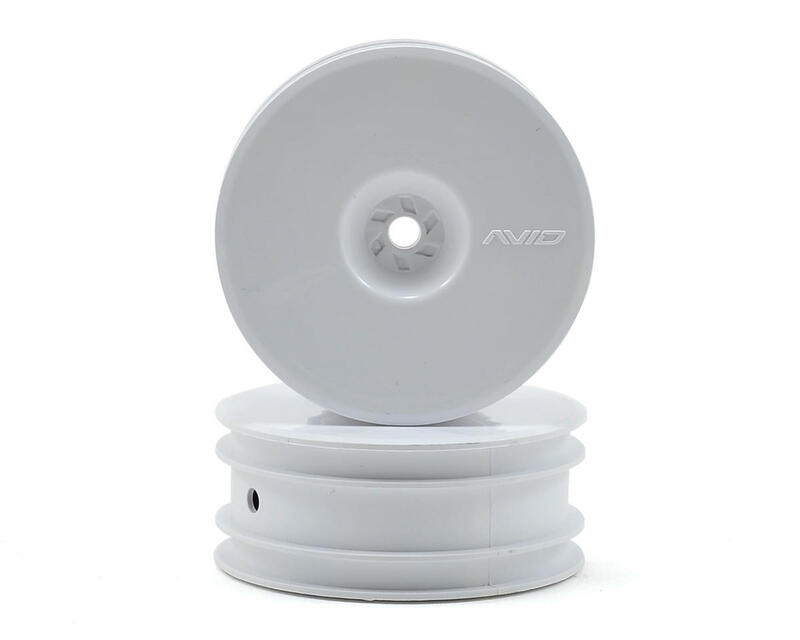 This is a pair of Avid RC 12mm Hex Satellite 2.2" Front Buggy Wheels. These wheels fit the front of the Kyosho RB5, RB6 and the Team Associated B4 and B4.1 buggies equipped with 12mm hex adapters (AVD1002-SET). 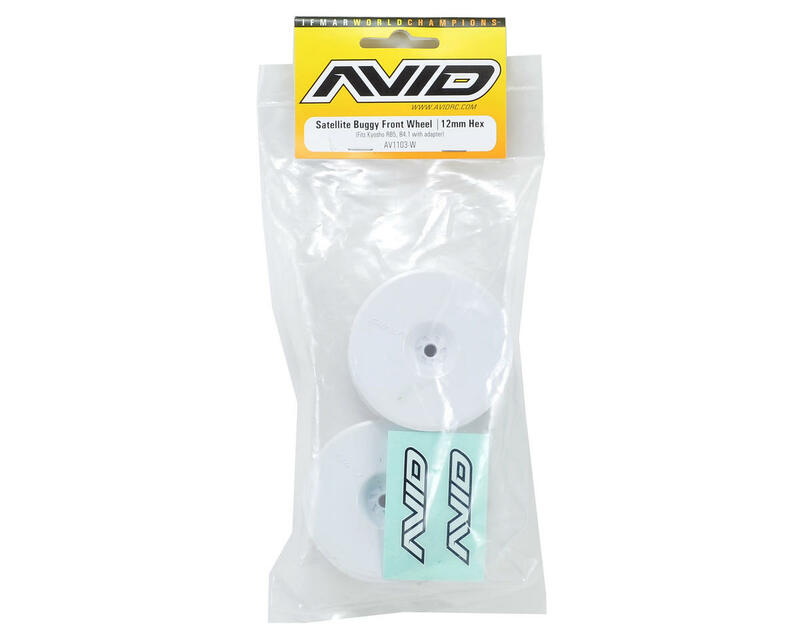 Buggy racers around the world will appreciate the engineering, looks, and performance of the Satellite buggy wheel lineup from Avid. The Satellite wheel has a stiff wheel face for maximum performance in cornering, and because of the deep dish and spoke design, the front wheels are very lightweight. Stock racers will appreciate over reduced rotating weight. Satellite wheels have an angled glue catch to keep the glue where you want it and not on your wheel face! Plus, we like the edgy look. Note: Wheel modification is required to run the narrow configuration with the Kyosho buggies. Love these Avid wheels(front and rear), have been running them for a while and all sets require little to no balancing!